“We should… recognize the United Nations for what it is – an admittedly imperfect but indispensable instrument of nations working for a peaceful evolution towards a more just and secure world order.” These words, written over half a century ago by Former UN Secretary-General, Dag Hammarskjöld, remain as true today – on UN Day 2016 – as they were back in 1957. 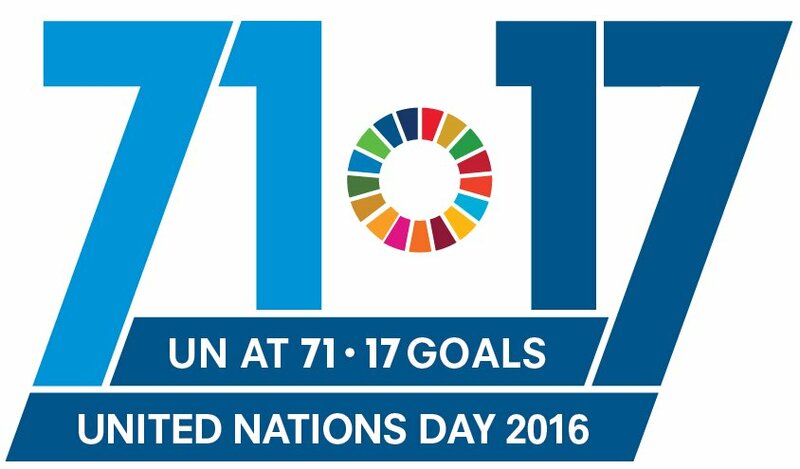 On 24 October we celebrate ‘UN Day’ which commemorates that fateful day in 1945 when the UN Charter entered into force. For the last 71 years the UN has been expanding its priorities, which now cover everything from research and training of public officials, maintaining peace and security, protecting human rights, and upholding international law. In 2015 all of these challenges were bundled into the Sustainable Development Goals (SDGs), in a bold effort to ensure peace, progress and prosperity across the world. To achieve these goals, two important issues need to be tackled. First, the organisation needs to make full and proper use of the new technologies of the 21st Century. Not only to engage with youth – already a major objective – but also because innovation could lift billions of people out of poverty. Second, the UN System needs to work together towards common objectives; the institution is a complex network of agencies, funds and programmes all of which work on important issues. Although the 2030 Agenda asks every agency to achieve its own mandate, it also requires ‘us’ to work together. The United Nations University (UNU) was set up to build a prosperous partnership between academia, UN and government officials and is therefore working hard to contribute to the achievement of the SDGs. UNU-MERIT is tackling these challenges by way of the ‘UNU Jargon Buster’. This App – available for Android and Apple devices – gathers the varying knowledge created and applied by UN officials on a daily basis. The overall goal is to ensure that the important work done by the UN System is communicated in an understandable manner to a wider audience, including students, journalists and civil society representatives. The Jargon Buster’s pilot phase was launched on 10 November 2015 at the UN Regional Information Centre (UNRIC) in Brussels. Over the last 11 months we at UNU-MERIT have been gathering terminology and establishing partnerships with multiple agencies, funds and programmes. As of today we have nine partners from the UN System and eight partners from within the UNU Network. In addition, we have recently welcomed the UN Economic Commission for Europe (UNECE), the Preparatory Commission for the Comprehensive Nuclear-Test-Ban Treaty Organization (CTBTO) and the International Maritime Organisation (IMO). Their contributions will be available by the end of October. We are regularly updating the App, which now places the SDGs as the primary means of finding and filtering terms. We want the UNU Jargon Buster to be a tool for anyone wishing to understand international development and the work of the United Nations. Through this one small effort, we can show how the UN ‘works’, how its many constituent parts can join forces so effectively and honour the principles of the UN Charter. To celebrate the App’s first birthday, 10 November 2016, we will co-host a special event with the Perception Change Project at the UN Office at Geneva. On World Science Day for Peace and Development, we’ll gather a host of ‘change-makers’ to find new ways to harness technology while bridging idealism and pragmatism in pursuit of the SDGs. For more information about the event and how to register, click here. For now, though, UN Day is a celebration of all things good about the organisation, against the backdrop of the many challenges that continue to beset this international behemoth. The United Nations, while imperfect, has clearly had many positive impacts around the world; there are millions of people whose lives have been protected and improved because of the work of thousands of peacekeepers and civilian officers who work tirelessly to uphold those values enshrined in the Charter. For that and much more, Happy UN Day!